Today, growing business need mature cloud technologies to achieve practical deployment costs and a level of security that has found increased acceptability among most customers. Being a recognised Microsoft Azure Gold Certified Partner and Amazon Web Services Cloud Consulting Partner, Sysfore offers companies the technology and expertise to transition the Cloud, securely and efficiently. Our team of technology experts help you design and implement customized cloud based solutions and cloud services that encompass robust features of Microsoft Azure and Amazon Web Services. Making a decision to move to the cloud is a challenging task – especially when the clients have the responsibility of data security and availability for organization’s sustainability. We offer a full range of packaged cloud services that support organizations of all sizes to cut down traditional infrastructure costs, mitigate software installation activities and reap maximum time to focus on core business. In today’s generation, the organizations of all sizes are planning to develop user-friendly applications that are robust, flexible, configurable, and available and access from anywhere from any device. Sysfore being recognised as a leading Microsoft Azure Gold Partner and AWS Cloud consulting partner, our cloud migration and deployment services can help organizations seamlessly migrate their vast historical or sensitive data to the cloud. Our cloud consultants of deployment can evaluate an organization’s current systems, create roadmaps and offer best practices to make sure their transition to the cloud is smooth. Our cloud service professionals can help organizations migrate all their mission critical data to the cloud and make sure that data is highly secure and correctly placed. Sysfore provides services for migration of infrastructure to cloud with the service provider of your choice- Microsoft Azure or Amazon web services. Our cloud service specialists possess vast experience in migrating applications on several leading platforms like Microsoft Azure and Amazon web services. Sysfore possess a tested framework for precise, predictable, and quick Migration of Applications to Cloud. Our cloud service professionals possess a healthy experience working with Active Directory and other Data Systems to run Synchronization. Sysfore is committed to offer organizations beyond deployment. Our dedicated support team can provide help for the technical support after the migration and deployment. Sysfore’s dedicated Cloud Support team develops a close working relationship with organizations to achieve insight about their cloud environment and technical concerns to deliver right assistance. 24x7x365 availability of tech and support to manage your services. We cater to different industries and organizations of all sizes. Monitoring & recording of all critical services. Cost effective with hourly billing – so pay only for what you use. Microsoft Azure is an open and flexible cloud platform that enables quick build, deployment and management of open source ERP solutions, web applications and responsive web development across a global network of Microsoft-managed datacenters. 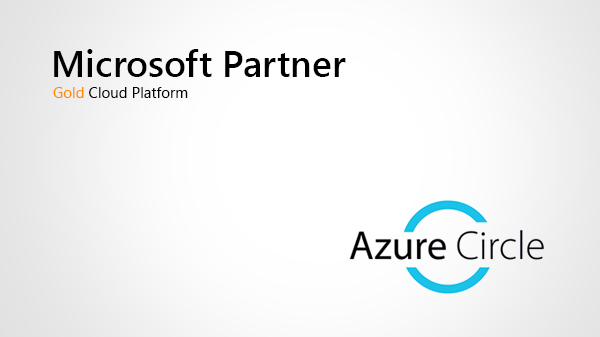 As an Azure Gold Partner, we have worked with numerous clients to design and implement custom based Azure solutions that span the robust features Azure offers. Whether you are looking to move to a Software-as-a-Service (SaaS) solution for hosting core services like email, an Infrastructure-as-a-Service (IaaS) solution for moving servers out of your datacenter, a Platform-as-a-Service (PaaS) solution for deploying your applications, or all of the above, we can help. Amazon Web Services provides a highly reliable, scalable, low-cost infrastructure platform in the cloud that allows you to quickly innovate, experiment and iterate. As an AWS Cloud Consulting Partner India, Sysfore helps you design, architect, build, migrate and manage your web and mobile applications on the AWS platform. It provides a secure, flexible and resilient cloud environment for your responsive web development and ERP implementations.